The iQ-SHUTTLE and iQ-FLiP are redefining the “weigh and fill” market by providing small, high speed scales that price in the low $20,000 to $30,000 price range respectively and offer fill rates up to 50 fills per minute with the iQ-SHUTTLE and up to 80 per minute on the iQ-FLiP. You now have a new options besides expensive and hard to clean combination scales for your medium high speed packaging applications. 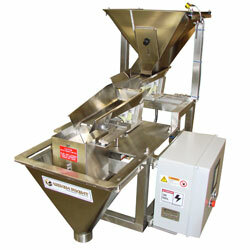 Both scales use a continuous stream of product into the weigh hopper(s). 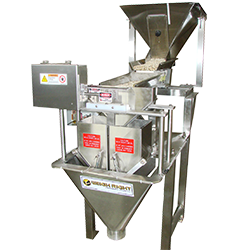 These scales are package free flowing products that are smaller piece size and consistent in shape like coffee beans, rice, small candies, pellets and similar products. The iQ-SHUTTLE is a two bucket linear scale that shuttles the stream from bucket “A” to bucket “B” and guarantees no underweights. The iQ-FLiP uses an oscillating weigh bucket directing the product to side “A” or side “B” of the bucket providing high speed with a + / – accuracy. Both these scales are designed for fully automatic operation with an automatic bagger or container indexing conveyor. Subscribe to our Newsletter to keep up-to-date on our latest scale technology.